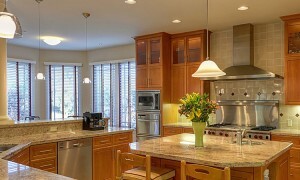 After buying a home, one of the first areas new owners concentrate on updating is their kitchen. This area experiences the most traffic from family members, and many households which have a joint kitchen and dining room host holiday dinners, family get togethers and parties in these areas. However, many new owners may be sticking to a budget after the home sale is over and are hesitant to spend money to renovate or completely redo this room. Luckily, there are several small tasks that homeowners can complete themselves that can change the look and atmosphere of this space. The term “the devil is in the details” can apply to remodels that focus on updating small features and characteristics. Tiny upgrades and accents can make a large difference in making a room look more spacious, modern and inviting. For example, owners can update the hardware on their cabinetry to shiny nickel, copper or burnished bronze for a more contemporary look to make cabinets look new, according to HGTV.com. In addition, painting dull cabinets to more colorful ones can add a freshness and modernity to a kitchen that can be accomplished without having to paint the entire room. This can be a good alternative for owners who want to choose darker colors, but have a small kitchen that they are trying to paint as more spacious. Painting the trim of cabinets a different tone can also make a room pop. Replacing sink fixtures is another easy and affordable task homeowners can complete. In addition to the several finishes and styles sink faucets now come in, many also have modern features, such as soap dispensers, detachable sprayers and automatic functioning. 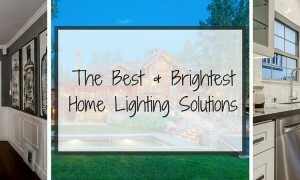 Hanging new lighting is another popular decoration new owners add, which make a kitchen look more spacious. Recessed and track lighting can modernize older kitchens and create a certain level of ambiance that homeowners may be seeking. Homeowners should not underestimate the power of new appliances. Not only are many new items that are being sold more energy efficient, but they are an affordable way to make a kitchen appear new. Individuals who want to make small splurges do not have to stop with small appliances, such as blenders and toasters, but might also invest in a new gas stove. Hanging pot racks and purchasing new utensil and spice stands is another way both save space and add a measure of color to a kitchen. 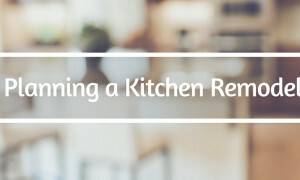 Look for Kitchen Design & Decor Inspiration? Start here.